Artist inspiration and artist influences. No biographies, dates or scholarly research here - this is a personal response to the work of the Findhorn Foundation by Australian artist Fiona Morgan. 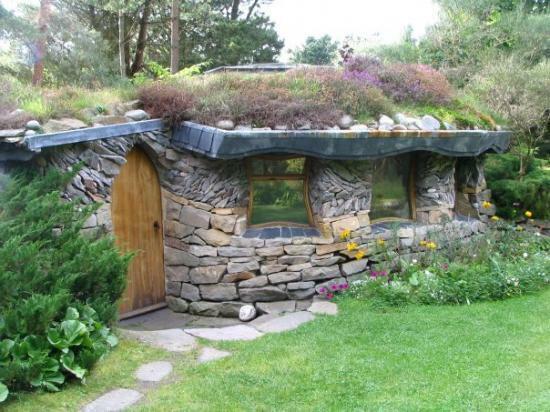 It's probably been ten years since I took myself off to Findhorn for their Ecovillage Experience week. I was looking forward to a week of meeting likeminded people, seeing how this ecovillage was run and trying out first hand what it might be like to be immersed in a community where mindfullness while going about the day to day is the aim. There are a couple of videos below that go some way to explaining Findhorn. It's possibly easiest to describe as an educational retreat centre where workshops are held on many varied but all compassionate spiritual paths and all sorts of practical interpersonal and sustainable tools and ideas. It's a bit of a melting pot, but kindness, respect and presence seem to be the binding themes. My take on it is that it's a place founded on quieting the chatter of the mind and listening to your internal guidance or intuition. It's a place where nature is respected and considered a partner. A place where interconnection is lived and not swept under the rug when inconvenient. A place where working for the greater good is expected. A place where peace and presence in everyday life are practiced as best as people are able to. Some call this living with spirit. My favourite part of the week was doing an attunement at the beginning of any task. Everyone about to be involved would gather together for about half a minute or so, to stop, centre and focus on the intention of the task at hand. It was a way of bringing people together, of putting each person in the now and of visualising the best way forward. Another phrase for this is 'creating intention'. This would happen multiple times a day, and was a terrific way of cultivating mindfullness and presence. At the time I was intensely curious about intentional communities and ecovillages in particular for their sustainable living aspects. I'm still generally supportive of small communities with some shared resources and facilities. I think models of sharing and lending expensive and/or rarely used items such as cars, lawn mowers, laundry, wind power etc are generally the way forward. And the supportive bonds that can develop in small communities, whether intentional communities or your neighbourhood street, can make such a wonderful difference to your quality of life. It is through reviewing these standout experiences and artists in this Creative Cauldron series that I have come to realise that when I create I am not, and not likely to be, interested in exploring the drama and destructive obsessions that seem so pervasive today. There is more than enough enough raging, hate, neurotic navel gazing, war and violence in the world. My interests are quiet. I prefer to focus on the brighter side of life. I would rather inspire people. I prefer to slow down and try to live deliberately. I would rather put things together in new ways that delight or help people. I like the idea of looking anew or looking beyond what is there. For example, the vegetarian cookbook project takes the plant foods all around us and combines them in ways people may not have thought of. It's aim is to help people to create vegetarian food. I see it as a roadmap for those who like clear directions and a jumping off point for those who like to experiment. The accompanying paintings are to delight you with creativity. The found creatures project takes fallen leaves and random bits of nature and creates imaginary creatures that also delight people. I prefer to slow down, to remember to be mindful, to share, and enjoy life. Creativity is what you do with what you have. There are possibilities all around.